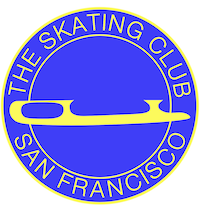 The Skating Club of San Francisco, Inc. is committed to creating a safe and positive environment for members’ physical, emotional and social development and ensuring that it promotes an environment free of misconduct. The following code of conduct applies to all participants in activities hosted, supported, sponsored or engaged in by U.S. Figure Skating and The Skating Club of San Francisco, Inc. including but not limited to competitions, exhibitions, training camps and local rink activities. I recognize that my participation or my child’s in all the activities associated with U.S. Figure Skating andThe Skating Club of San Francisco, Inc. is an honor and privilege that carries certain responsibilities. I agree to fully abide by the rules and guidelines set forth by U.S. Figure Skating or its properly designated agents. A. I will exhibit the highest standards of fairness, ethical behavior and genuine good sportsmanship in all of my relations with others. B. I will not damage public or private property. I understand that I may be held financially responsible for damage deemed to be wantonly or willfully executed on my part, and that I may be subject to disciplinary action by U.S. Figure Skating. C. I will not use or possess illegal drugs, and I will not engage in criminal activity. I understand that, if I am found to use or possess illegal drugs, or if I am found to engage in any criminal activity during any activity hosted, supported, sponsored or engaged in by U.S. Figure Skating, I may be subject to criminal penalties as well as penalties imposed by U.S. Figure Skating. D. I will adhere to the rules of U.S. Figure Skating and the host organization at all activities hosted, supported, sponsored or engaged in by U.S. Figure Skating. E. I will comply with all applicable anti-doping rules including, but not limited to, ISU and USADA anti-doping rules. F. I will conduct myself in a manner not detrimental to the welfare of figure skating. I understand that my actions reflect on U.S. Figure Skating and the sport of figure skating both positively and negatively. I understand that if my acts, statements, or conduct are considered detrimental to the welfare of figure skating by the appropriate authority, I may be subject to penalties imposed by U.S. Figure Skating pursuant to GR 1.04. G. I understand that the penalties that may be imposed may include, but are not limited to, loss of future international selections, loss of financial support from U.S. Figure Skating and its Memorial Fund, and loss of participation in activities hosted, supported, sponsored or engaged in by U.S. Figure Skating. H. I understand that all disciplinary proceedings will be conducted pursuant to Article XXV, Section 3, of the U.S. Figure Skating bylaws, and that my rights and remedies are derived therefrom. The Skating Club of San Francisco, Inc.